The master shows the finished woven belt. 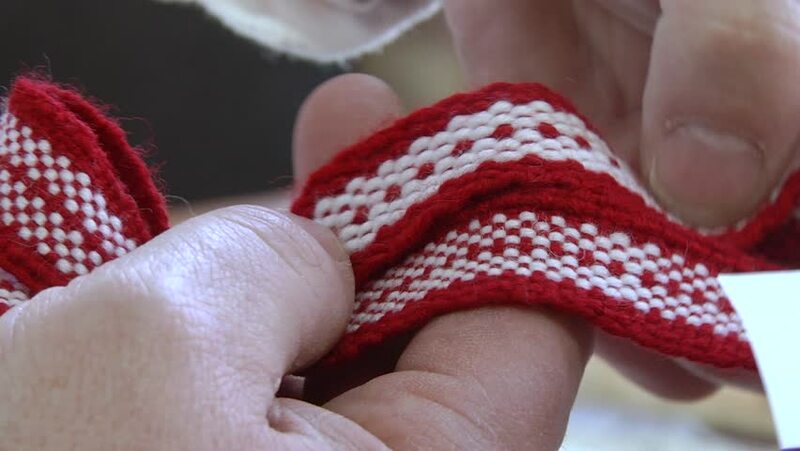 The master holds a red and white woven belt. hd00:09MUMBAI, INDIA - 10 JANUARY 2015: Man forming dough with his fingers on a saucer in a street food shop.